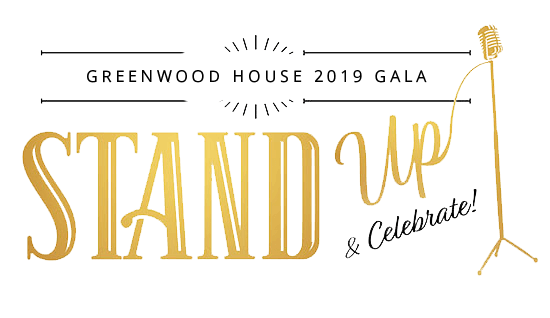 REGISTER TODAY FOR THE GALA! Behind every smile . . . is the care within. Greenwood House is an entire network of senior living, care and services designed to create a true sense of community where patients, residents and staff all care about and engage with one another. Greenwood House is not merely a building or a home for seniors. It’s a commitment to total health and well-being, whatever the need may be. It’s a promise built on a tradition of quality care and decades of service and experience. When we opened our doors in 1939, we made a promise to care for seniors and as their needs and desires have changed, so have we. From our roots as a Jewish nursing home to the highly respected nonsectarian senior health care continuum we are today, the seniors we serve can take comfort in knowing we will continue to meet their needs, for both today and tomorrow. At Greenwood House, we care about your health! Our goal is to deliver exceptional lifestyles and services that address the physical, cognitive and social well-beings, helping each and every one of our residents and patients reach their wellness potential. With compassion and a person-centered approach, we offer a wide range of services including skilled nursing care, assisted living, rehabilitation, homecare services and hospice care. No matter which of our services is needed, we focus on the social, emotional and spiritual well-being of each and every person who turns to us for care and support. Our residents and patients experience the highest quality of life possible in a caring atmosphere that promotes dignity, empathy, compassion and hope. It’s what sets Greenwood House apart. It’s what makes us special. At Greenwood House, we believe that an engaging lifestyle is an important part of overall well-being for our residents. From games, music and crafts to pet therapy and outside entertainment, we offer a variety of life-enriching programs and activities designed to keep residents mentally, physically and spiritually engaged. Family members, friends, volunteers and local school and community groups are also frequent visitors to our campus, further enriching our warm, family-focused atmosphere. Under the supervision of a registered dietitian and a Rabbi, our dietary staff at our skilled nursing center and assisted living community prepares a wide variety of delicious and nutritious meals. Our food service is strictly Kosher and is prepared from favorite “homestyle” recipes. Residents are always encouraged to make suggestions regarding menus. And family members are encouraged to join our residents for meals anytime.